First of all, a genuine apology to all the Android users out there who have been requesting for the Android version of Envision for so long. We are sorry. Logistically, it took us much longer to get things off the ground than we previously anticipated. Our small but committed team has had their hands full. That said, we have the hardest milestone in product development behind us now: launching the first version. When you will install it, you will find that the app is still not as complete as what one would expect. It does not yet have all the features that our iOS app has like barcode scanner, color detector, etc. Even the existing features are not as fully polished in user experience as our iOS version which has offline text recognition, multiple page mode, PDF reading etc. We are building all of that, one by one, right now. The reason we are doing a wide launch of this version as it is now, is because we believe it is a lot more fruitful to build products out in the open than in private. We have built the most primary functions and the foundation of the app. Now we want your inputs into how you want to see the app develop, what features are important to you and what additions should be our priority. We find this to be a better approach than building the whole product in secrecy and find out much later that what we spent months building something you all did not want. This also lets you have a working tool in your hand right away which can already do the primary functions that you need. And with your feedback and input, it will grow into the tool you want it to be, right in your pockets. And this will happen quickly because being a small startup gives us the agility that larger companies cannot have. We move fast, break things and remake them inside of a week. Our iOS users could vouch for the fact that a new update has been hitting their phones once every two weeks (if not every week) ever since we launched. We have experienced this with our iOS app. 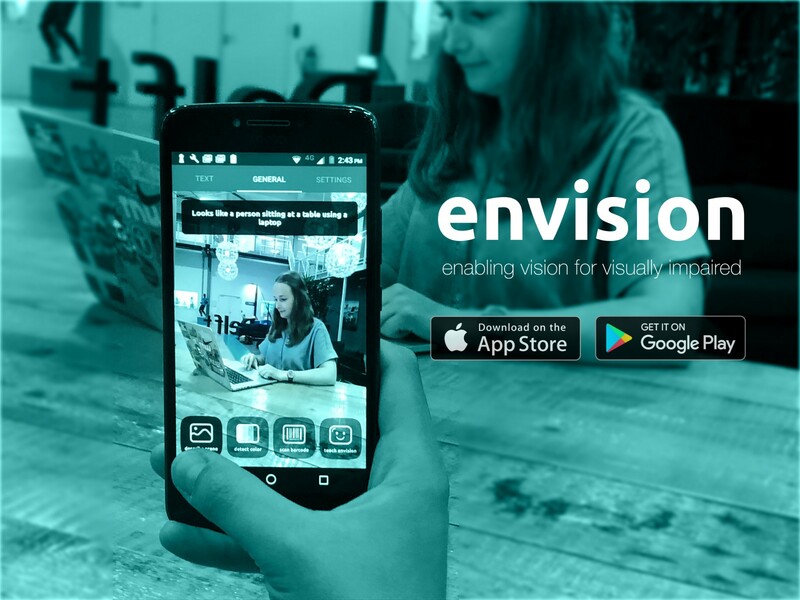 We went to an online forum called AppleVis with a very early version of our app and the kind of feedback and guidance we got from the users on that super basic app that time has led to what Envision is today — one of the best in class tool for all recognition needs. We are super excited about starting that journey again with our Android users today. We all have butterflies in our stomach in anticipation of the immense potential this has and the journey we are embarking on. Are you ready to take the ride with us?